We love birthdays here at Roadburn HQ. 2019 is the twentieth year of Roadburn, and we’re thrilled that MONO will also be celebrating their twentieth year alongside us as part of Tomas Lindberg’s curated event, The Burning Darkness. “I would be deeply surprised if ANY Roadburn attendee didn’t already have the amazing MONO on their radar. This band has been a constant fixture on the Japanese post-rock sky for the last two decades. “I have always been a huge fan since I first caught them live about 15 years ago at a small club in Sweden. 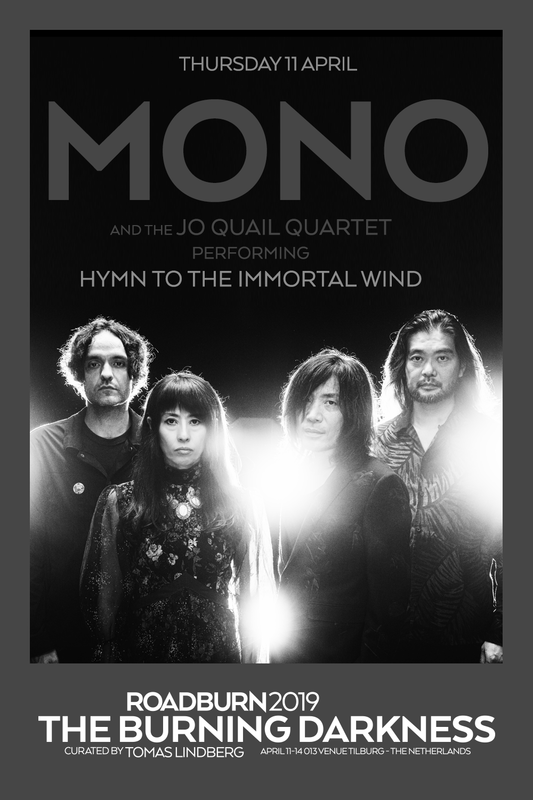 This year is a special year for Mono, they celebrate two anniversaries: 20 Years as a band and 10 years since the monolith that is ”Hymn to the Immortal Wind” was released. This will be celebrated as a special one off event at our favourite festival. Tomas Lindberg / Dallas, October 2018.